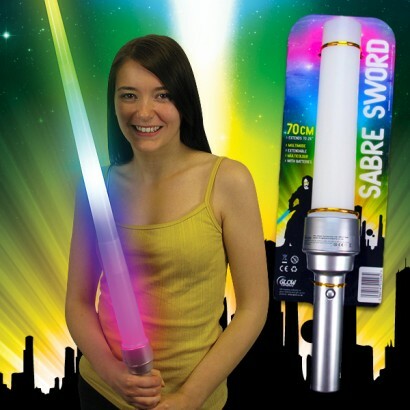 Go all out Star Wars with this impressive extending light sabre sword that extends from 38cm to a whopping 81cm at the flick of your wrist! 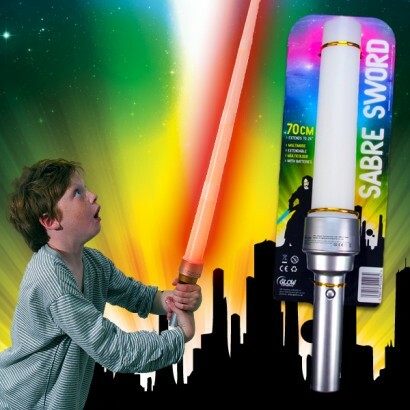 Packed with multi function, multi coloured LEDs, this impressive sword shines with six cool modes including colour phase and single colour flash so that you can emulate your favourite Jedi masters! 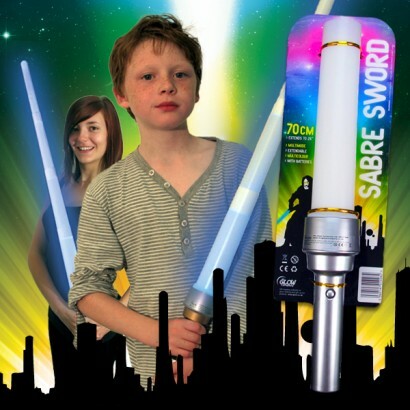 With batteries included, this incredible laser sword is a sight to behold and is perfect for parties and Star Wars fancy dress and events. 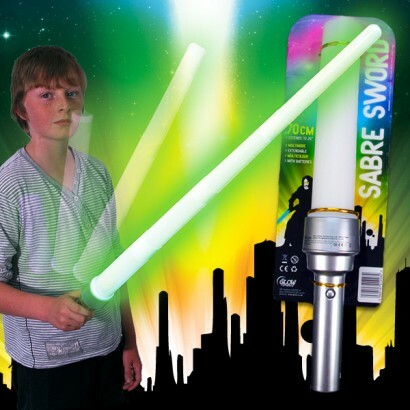 Cycle through 6 modes at the push of a button including colour change and single colour flash!